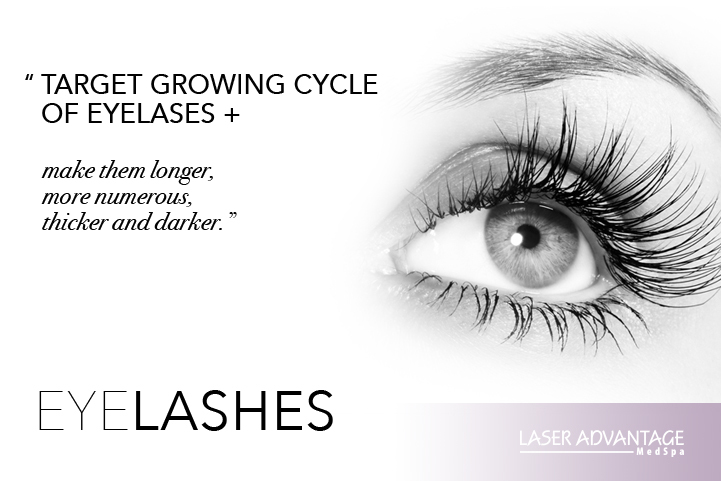 Latisse®, a product favoured by A-list celebrities, can give you thicker and fuller lashes that are long lasting and natural by extending the growth cycle of your own lashes. Avoid the messiness of falsies and the upkeep of lash extensions with this FDA approved prescription product that is now available at Laser Advantage. Our team members will guide you through the simple steps needed to maintain your lashes after treatment. Learn about Allergan’s Brilliant Distinctions Loyalty Program. LATISSE® is a registered trademark of Allergan Inc. ©2013 Allergan Inc. All rights reserved. Latisse® gallery illustrate results following the provision of Latisse®. The pictures may display the Before & After results obtained when treatments were performed at clinics other than Laser Advantage. In providing the photos and statements on this website, Laser Advantage and the website ssmlaseradvantage.com does not state or imply any guarantee.